2 People participate in a traditional game during Sinhala and Tamil New Year celebrations in Colombo, Sri Lanka. 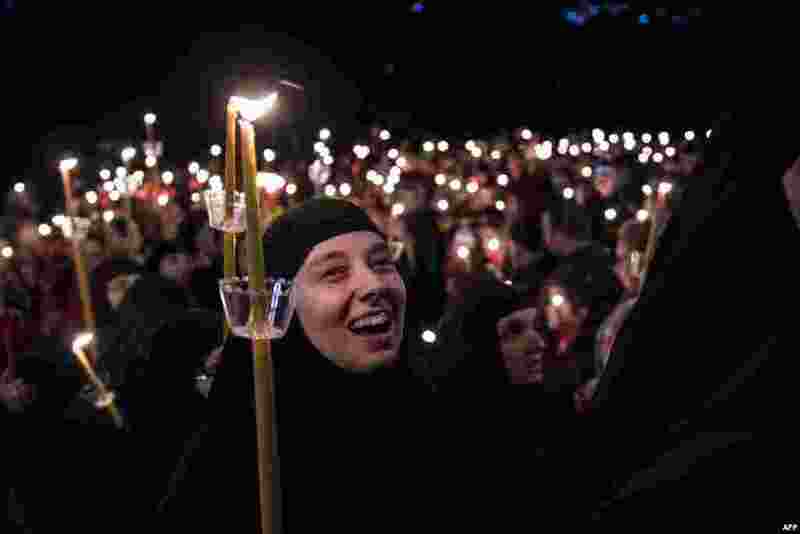 Sinhalese and Tamil communities will mark the new year on April 14. 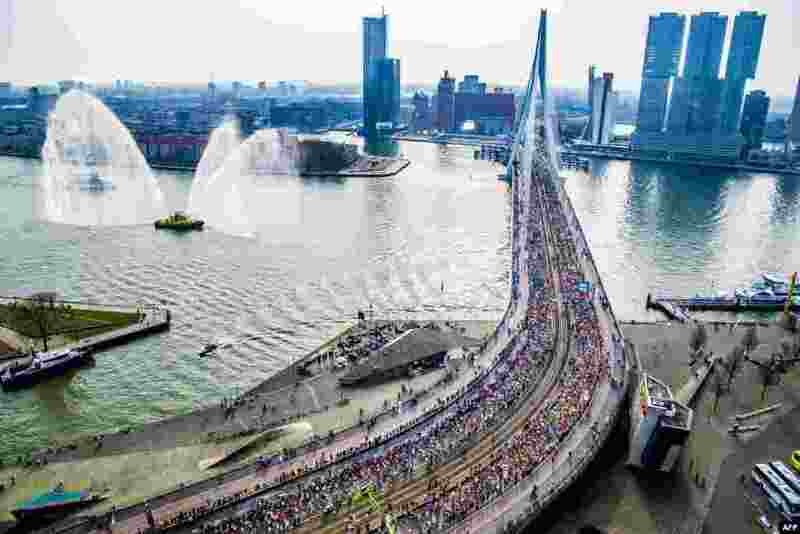 3 Runners cross the Erasmus bridge during 38th Rotterdam Marathon in Rotterdam, Netherlands. 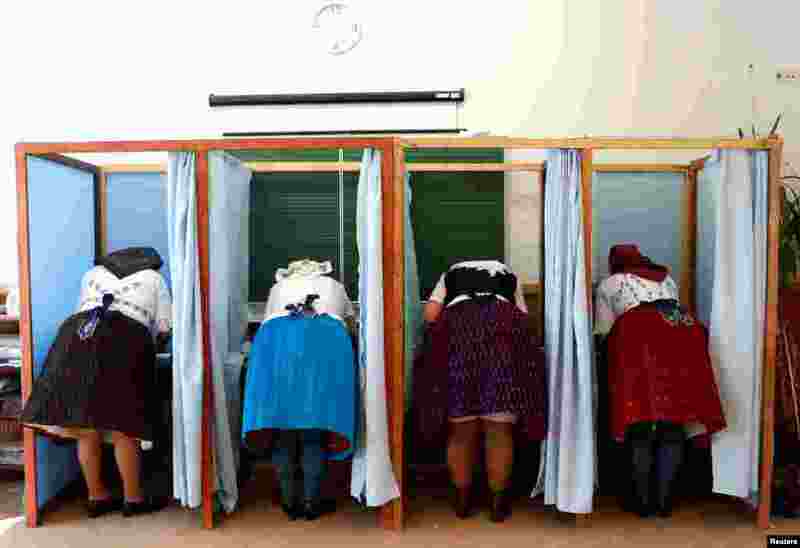 4 Women, wearing traditional costumes, fill their ballot papers at a polling station during Hungarian parliamentary elections in Veresegyhaz.